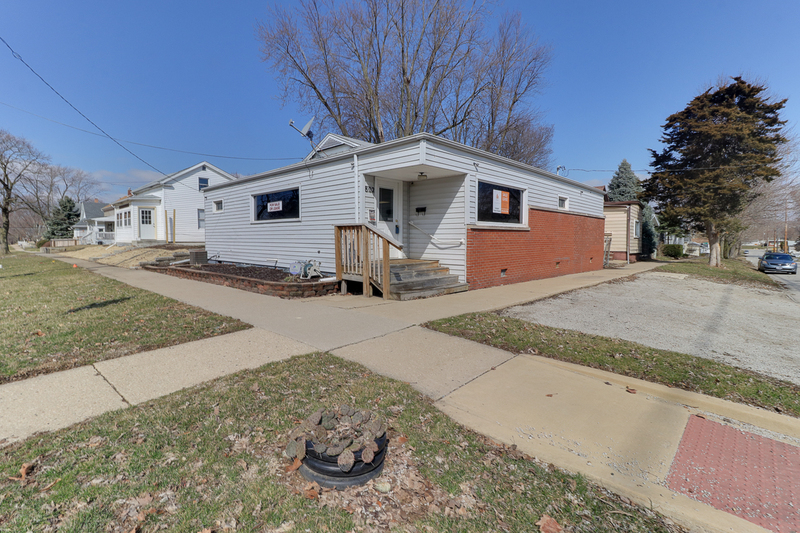 This affordable, updated commercial building with open floor plan makes for a great business opportunity! Newer roof, siding, gutters, windows, flooring AND doors! Features high efficiency furnace & water heater. The basement houses additional room for storage, laundry area (washer & dryer included), & bathroom. Comes equipped with a 9 camera security system & alarm. 44 x 14 parking lot and street parking on South & East sides.